There are many branches in manufacturing in which development is almost ceased, there is hardly anything left for a designer to do except adapt and modify existing design (dimension, material, etc.). Adaptive design is the process in which the parameters of the existing design or engineering device is slightly modified to improve quality or to suit a new trend in the market. It is normally a responsive design to consumer behavior. In this process, designer makes a minor modification in existing design or form new member without changing the existing structure of the product. The adaptive design does not require much knowledge or skill, it can be done by the designer of ordinary technical training. In great majority of instance, designer’s job is to make an adaptive design. Examples: Designing of the bicycle, mechanical watch etc. What is Development design/ Variant Design? Development design also starts from existing design to bring a new idea, though the final product may differ significantly/moderately from existing design. 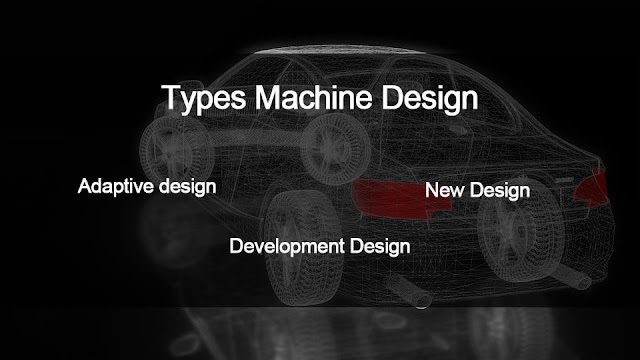 In development design, design engineer uses the working principle of one machine on another machine and bring an entirely new product which may possess good quality in working, size, etc. The adopting of new method of manufacturing, or adopting new engineering material are also a reason for development design. Development design demands considerable knowledge and design ability. Example: Combining the principle of bicycle and internal combustion engine and develop the motorcycle, converting mechanical watches to quartz watch, manual gearbox of the car to the automatic gearbox. What is New design/ Original design? This is also called innovative design. When designer develops something that didn’t exist before, then the design is called new design. Only a few numbers of designs fall into this category. This type of design requires lot of research work and maximum creativity. Useful factoid. I really appreciate it.